Welcome to Wiremo! 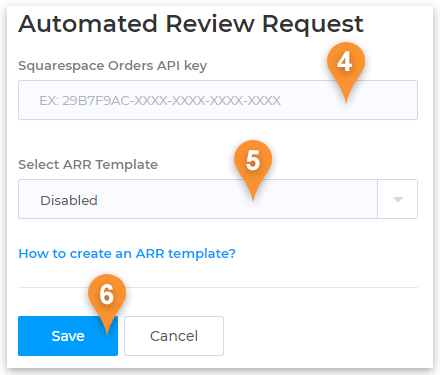 Below we will explain you how to setup an Automated Review Request campaign in Wiremo plugin for Squarespace. It's easy as pie. 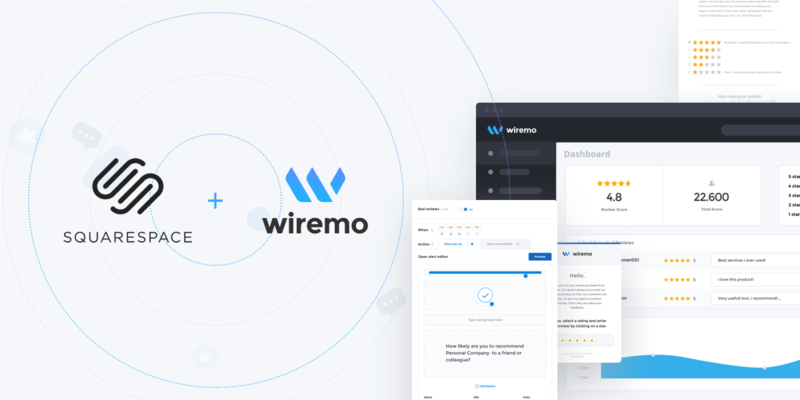 For an easier way to use Wiremo Automated Review Request on your Squarespace website, you can watch the following video tutorial or follow the steps below it. Create a Squarespace Orders API key and copy it to Squarespace plugin. 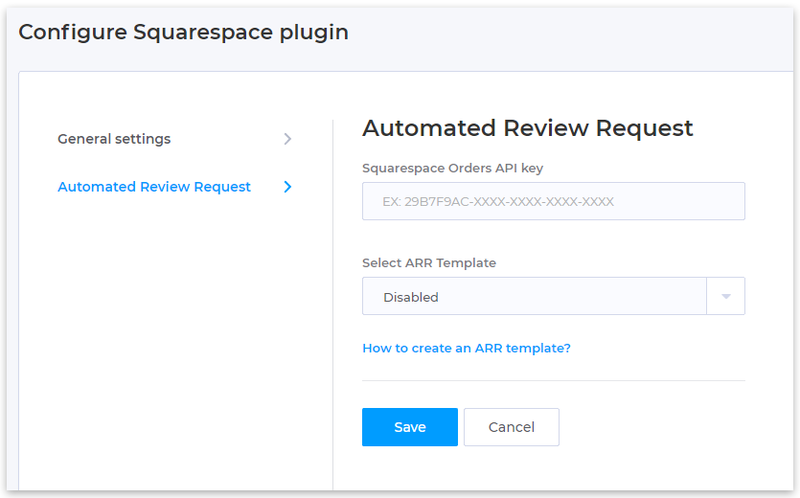 Enable your Automated RR template in the Squarespace plugin. 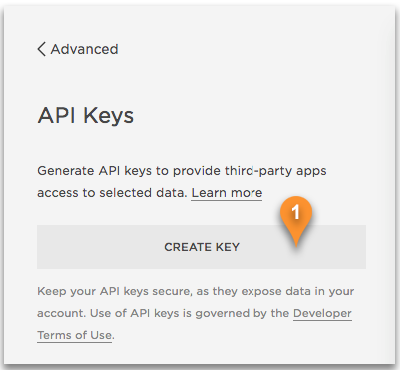 To create a Squarespace Orders API key, please log in to the Squarespace dashboard and go to "Settings -> Advanced -> API Keys". Then press the "CREATE KEY" (pin 1) button. 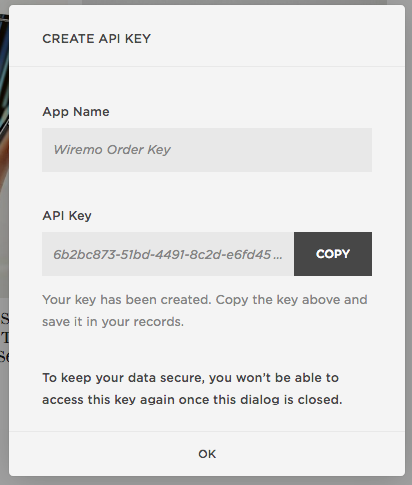 Now type a name for your key, for example "Wiremo Order Key" (pin 2) and tick on the "Orders" checkbox (pin 3) under "API KEY SCOPE". Then press the "Next" button. In the next window copy the created key. Note:To keep your data secure, you won’t be able to access this key again once this dialog is closed. Go back to the Squarespace plugin setup page. Click here to get there faster. 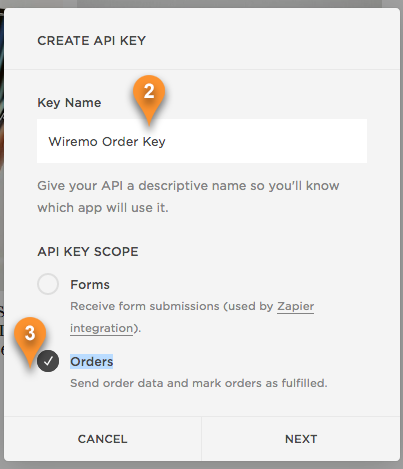 Paste the copied API Key code to the "Squarespace Orders API key" field (pin 4). Then from the drop-down menu "Select ARR Template" (pin 5) choose your already created template and press the "Save" button (pin 6). Note:Once you'll press the"Save" button your Automated Review Request will be enabled. It will fetch all the fulfilled orders from the current day and will send review request emails. Further Wiremo will fetch every 2 hours all the new fulfilled orders and also will send review request email. The Automated Review Request will send emails at the same daytime as your customers orders time. Now you're done! Thank you for choosing Wiremo!